New owner for Shrek and DreamWorks Animation? Coming next from DreamWorks Animation: How to Train Your Investment Banker? Or the Penguins of Madagascar Head to Tokyo? Shares of DreamWorks Animation (DWA) surged 26% Monday following a report that Japan's SoftBank (SFTBY) may want to buy the studio behind the "Shrek," "Madagsacar," "Kung Fu Panda" and "How to Train Your Dragon" movie franchises. The story was first published by The Hollywood Reporter over the weekend. Spokespeople for DreamWorks Animation and SoftBank were not immediately available for comment about the report. DreamWorks Animation, founded by Jeffrey Katzenberg, Steven Spielberg and David Geffen, has been a nightmare of a stock this year. Prior to Monday's big pop, shares were down nearly 40%. The company has lost money in its past two quarters due to some recent duds at the box office and weak DVD sales . The studio's "Mr. Peabody and Sherman" -- based on characters from the early 1960s cartoon cult classic "The Bullwinkle Show" -- was a major flop this spring. (Investors probably wish DreamWorks could use Mr. Peabody's WABAC machine to go back in time and decide not to do this movie.) "Turbo", about a racing snail, also flopped in the summer of 2013. Although "How to Train Your Dragon 2" was a big critical success and has done well overseas, some investors are disappointed by the fact that the film's box office in the U.S. was lower than the first film's take in 2010. DreamWorks Animation, which is run separately from the DreamWorks live action studio, has struggled to impress investors since it went public nearly 10 years ago. It hit an all-time high of near $45 in early 2010, but the stock now trades slightly below its initial public offering price of $28. Even with the big pop on Monday, the stock is down 26% in 2014. The movie business is notoriously difficult. Disney (DIS), which acquired DreamWorks Animation rival Pixar in 2006, has been far more successful at the box office over the long haul than DreamWorks Animation. And other major media companies have been busy building out their animation studios as well. "The LEGO Movie," released by Warner. Bros., is the third-highest grossing film this year. (Warner Bros. is owned by CNNMoney parent company Time Warner (TWX).) Universal, owned by Comcast (CMCSA), had one of the biggest hits of 2013 with "Despicable Me 2." 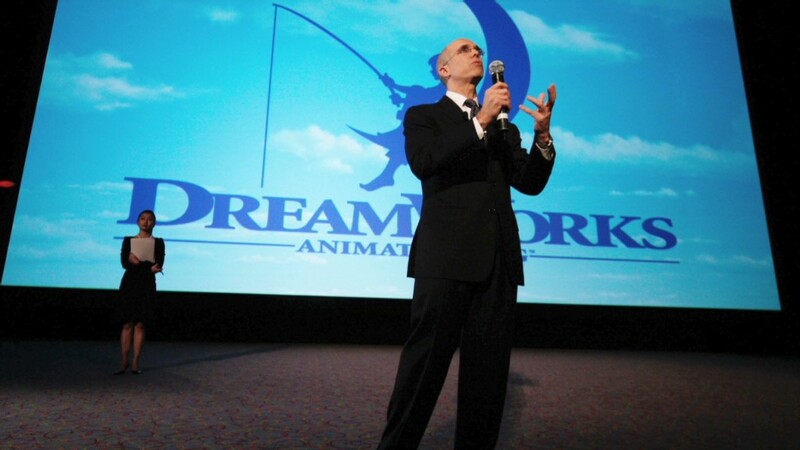 So it makes sense that DreamWorks Animation might be vulnerable to a takeover. It doesn't have the same financial firepower behind it. Enter SoftBank. The tech conglomerate is trying to become a major player in media, telecom and the Internet across the globe. SoftBank owns a more than 30% stake in Alibaba (BABA), the Chinese e-commerce giant that went public earlier this month, and it's also the controlling investor in U.S. wireless company Sprint (S). Related: Alibaba strikes deal to stream "Mad Men"
But why would DreamWorks Animation be a good fit for SoftBank? The purchase of a movie business would inevitably bring up comparisons to how Sony has struggled with its film studio lately. The deal might make a lot of sense for DreamWorks though. The company would no longer have to face the ire of shareholders every quarter. There won't be as much pressure on the studio to have every film be a big hit. Katzenberg, who is DreamWorks Animation's CEO, may also prefer to have the company remain semi-independent as opposed to becoming a small part of a much larger media empire. And make no mistake. This deal will live or die with Katzenberg since he owns 100% of DreamWorks Animation's class B shares that hold most of the voting power at the company. So ultimately it will come down to price. Disney bought Pixar for $7.4 billion. 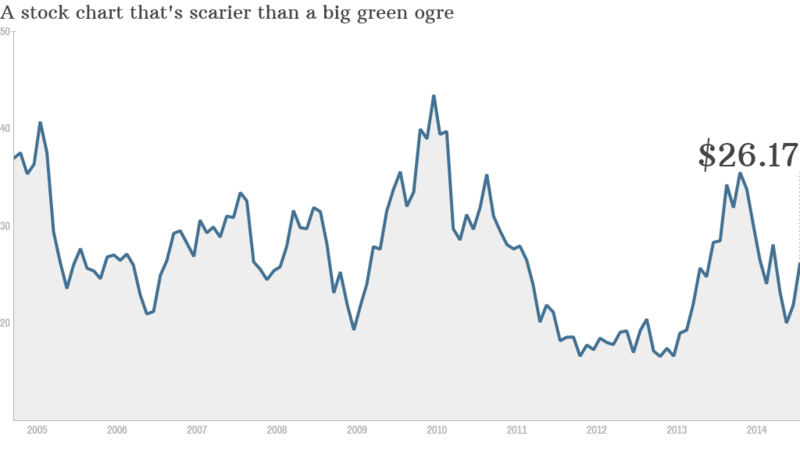 There is no way that DreamWorks, which currently has a market value of $1.9 billion, will fetch that much. According to The Hollywood Reporter story, SoftBank was looking to pay $3.4 billion. Would Katzenberg hold out for something closer to $4 billion? That's the price Disney paid for both Marvel and Lucasfilm. Still, $3.4 billion is much more than what DreamWorks Animation was worth on Friday before SoftBank came into the picture ... and DreamWorks Animation may not deserve a much higher premium because of its inconsistent track record. Let's be honest. Shrek and Donkey may be hilarious. But they are no Iron Man or Luke Skywalker.